Now that 2015 has come to a close I can reflect on the real estate market in the hilltowns of West County. Compared to previous years, the real estate values for single-family homes continue to remain relatively steady. The median price in 2014 was $214,750 and $212,500 in 2015. 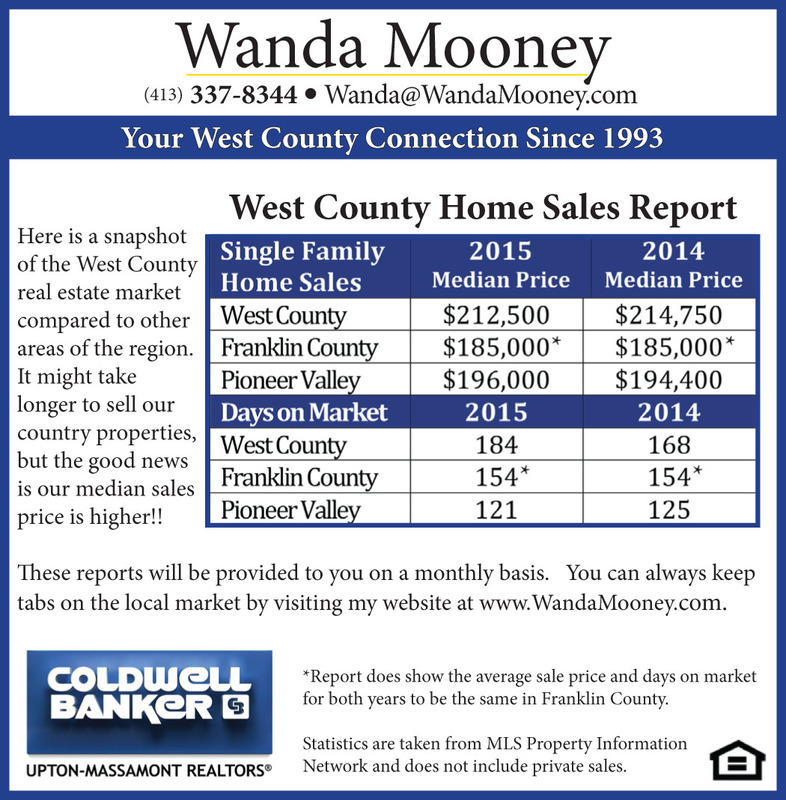 The median price of single-family homes in West County is 13% higher than the Franklin County area and 8% higher than all of Pioneer Valley. The number of transactions dropped from 94 sales in 2014 to 74 sales in 2015. This is a substantial drop so I researched how many sales occurred in previous years. I discovered in 2012 there were 74 sales and 2013 we had 75 sales. Why the increase in 2014? Interest rates were at an all time low combined with the threat rates would go up created urgency for folks to buy. I also feel it was a time when people started to feel good about investing and our second home market started to regain strength. One thing about selling country properties is it does take longer on average to sell than other parts of the region. West County's average days on market for 2015 was 184, and in Franklin County, it was 154 days and the entire Pioneer Valley it was 121 days.